Let’s face it. Everyone wants to save money, Even if you have more than enough to go around, why spend more than you have to? Everyone loves a bargain. But sometimes it is better to spend the money. You do indeed get what you pay for, at least most times. These cruise tips will help! In Europe, a winter cruise can easily be ruined by cold weather and rough seas. In Alaska, May or September cruises will highlight snow, mud, and rain. Be sure to check out the fishing season as that may factor into your cruise. More decisions. A good cruise can be just about any cruise. After all, they all have entertainment and food galore. However, there are other considerations. Before settling on a specific cruise, ask yourself: “Why this cruise?” There are so many cruises with so many themes. Narrow down your choice. You may choose a senior cruise, a graduation cruise, a cruise to a certain location, cruise lines with “better” food, cruise lines that spend lots of time in port, cruises that do not, “party” ships, Disney cruises with lots of kids and kid activities, cruises with lots of passengers, those without, ships with casinos, cruises with lots of entertainment, cruises with lots of down time, family reunion cruises, small boats, big boats, bigger ships, and the list goes on. You may have the option of letting the cruise lines choose your cabin for you. It is tempting as the cruise fare is less expensive this way. It sounds good and they say you may get an upgrade. You might, but if the cruise fills up then only the worst cabins are left. And who do you think gets assigned those cabins? A good cruise tip is when choosing a cabin, check out what is above you and below you on the deck plan before finalizing your plans. You certainly do not want a room above the nightclub or below the teen scene. Check the rates for single options if that is the way you are going to travel. Just be aware that most cabins are designed for two passengers and the cruise lines want to maximize their profits from each cabin. You may be better off checking the rates on single option cruises. But you are not yet finished. Then there are all of the extras that you may or may not be aware of. Whether you like it or not tipping is not going away. Many employees’ wages are the minimum the cruise lines can pay and get employees to work for them. You, the passenger, will pay the going rate. Tips are discretionary but the cruise lines have figured a way to make them mandatory. You often have to prepay your tips. Yes, you can talk to the cruise personnel and they will take them off your bill but chances are, you will not want to bother with the time it would take. They know that 99% of the passengers will just pay the tips charged and do nothing. Chances are, you are one of that 99%. The going rate is often $10 to $12 per person per day. If you fortunate enough to have booked a balcony cabin or a suite, the expected tip rate is even higher. Pay attention, that is the amount per person and not per cabin. Many cruisers will tip their favorite waiter a bit more in cash the last night of the cruise. The cruise line will also bill you 18% as a tip on your drink purchases. This is added to the bill you sign when the drink is delivered. Many passengers are not aware of this and then tip the waiter on top of this. The cruise line and the employees just love it. Don’t go “overboard” on your cruise vacation, pun intended. Unexpected cruise costs can be disastrous. The final cost of a cruise is not the fee you pay up front for your cruise. It is easy to get caught up in a cruise and not consider the costs. Then at checkout, you are duly done for. Learn what is and is not included so you are not one of those who are caught unawares. Disaster! Drink packages are part of your arsenal of important cruise tips. You may be able to purchase a drink package before the cruise begins. Be sure to check out the small print. Your choice may not be the most cost-effective. It is not easy to compute how often you will want a soft drink or one of those delightful drinks in the souvenir glasses that look so tempting. Don’t think they are free. You will be asked to sign for them and will get the bill at the end of the cruise. Unless you purchased the beverage package, of course. This is one of those cruise tips that is so easy. We always compute how many meals we will eat and carry our own soft drinks on board. The cruise line does not care if you take your own drinks. The best part is that you only have to carry them one way. That step class looks so easy. Go ahead, you need to work off that third dessert you had at dinner last night. Another fee tacked onto your bill. It is not usual for the fee to be at least $15 or more for a gym class. That hurts! You may think that bottle of water in your room is for the taking. Did you notice the note that says if opened, it will be added to your bill? Room service used to be included and all you had to do was tip the waiter. Not any more. The cruise line still offers it but now the cost is stated in the brochure. Maybe you should get dressed and go to the restaurant for your eggs. It will be much less expensive. You can get that extra cup of coffee at no extra charge. Of course, the spa treatments will cost. You know that without asking. It may well be worth the cost for the pampering. After all, that is why you are on the cruise. Every cruise has at least one. The quality of the food is probably better than the food in the dining room. The selection will be based on the theme of the restaurant. You must make your reservation for the experience when the cruise begins or you may be cut out of this pleasure. The wait staff is more attentive and your glass will never be empty. More pampering, just what you came for. We are all used to immediate internet access. Waiting to download a file or see your family member’s face on your phone is an aggravation. You may be addicted to the internet and just have to have it. All of our smartphones demand access. Who can wait from 3 to 7 to 10 days to check their mail? Unheard of! The cruise line knows this and will charge an exorbitant amount of money for internet access. They will not even guarantee it but if you want it, open up your wallet, or rather your charge card. This one item is a necessity to so many. The cruise lines recognize an income stream when they see one. Shore excursions are part of every cruise. When planning your trip take into consideration the untold questions and answers no one will mention. Is this particular excursion too strenuous, too long or even too boring for you? You need to feel good about each excursion. Are you getting value for your money or are you just going because you were pressured to buy the excursion. In many cases, you may be better off to make your own plans or perhaps just walk around the exotic cities you may visit. Just be cognizant of the time the ship leaves the port. If you are not on board at the proper time, they will leave without you. If you came specifically to see historic ruins, you have no choice. You must to pay extra for it. You are better off just to pay the amount the cruise line charges for their excursions. No, you can not do it a lot cheaper. By the time you add in the aggravation and your time to make the arrangements, you will wish you had paid the cruise line for this one. It is their excursion so if for any reason you are late getting back, they will wait for you. The peace of mind is worth the extra few dollars. Just because the cruise lines describe an excursion as the be all and end all of all excursions, pay attention to the little details. If the cruise line says you will be on a bus for three hours each way, you can count on it. Perhaps an excursion that takes less time and is closer to the ship is better for you and your family. Another item you may not understand when you purchase your exciting side trip is the difference between the cruise ship docking at a port versus your being tendered to your destination. Many times it is not conducive for the cruise ship to take you all the way to your destination or perhaps there is no dock. You will still get there but you must be tendered. The ship will set anchor at sea and you and everyone else going aboard will board smaller vessels that will take you to shore. It may take longer to get to your destination and longer to return to the boat. There usually is no problem with tendering, it just takes longer and thus you will have less time at your destination. If the weather is bad, you may be better off to opt out of visiting this port. Take care of this small item before you leave for your cruise. 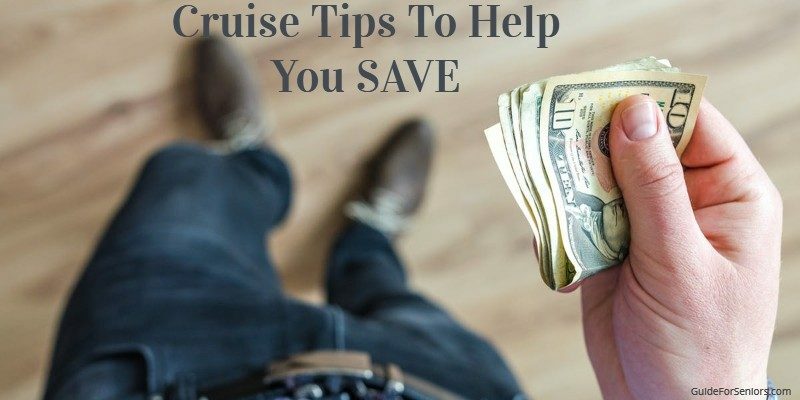 You can purchase the insurance offered by the cruise line but this is one time you should check out the prices and benefits first. There are many companies outside of the cruise lines who offer coverage. One of the important cruise tips is that you need to purchase travel insurance, but not necessarily from the cruise lines. No one expects to get hurt or sick but it does happen. And if it happens to you, you will wish you had made the arrangements. If you plan on traveling out of the country on more than one trip, it may be cheaper for the same coverage to purchase a policy for a whole year rather than just for that one time. You can usually count on plenty of food for everyone and then some. Quantity is never an issue. You may not like pizza for a late night snack but if that is what the cruise offers, that may be all that is available. Try room service if you are especially hungry. The following night, just make better provisions. Check out the times the buffet is open and make sure to get in line before it closes. Some cruise lines have bad food. Perhaps they left it out too long or the crew was sloppy in their preparation. It just happens. Some cruise lines have had stomach bug outbreaks. The cruise lines are very cautious about sanitary conditions. You will find hand sanitizers everywhere on board the ship. Take advantage of them and hope everyone else does too. The CDC, Centers for Disease Control and Prevention, has a vessel sanitation program. Not all ships are not required to participate in this program. However, if a cruise ship has 13 or more passengers and has a foreign port of call as well as one on US soil, it is in the jurisdiction of the Vessel Sanitation Program. Every participating cruise ship is required to report the number of gastrointestinal illness cases evaluated by their medical personnel if a breakout exceeds 2% of the passengers and crew. You can check the report at the CDC. In reality, the chances of getting a GI bug is relatively small on a cruise ship. A high school basketball player has a higher chance of getting drafted into the NBA. Those are odds I will take. Take advantage of these cruise tips and let the fun begin. Cruising is a great way to see exotic cities and experience exciting adventures. It feels great to sleep every night in the same room and not have to pack and unpack. Let the cruise line and the captain worry about the weather. Everyone should cruise at least once. You will love it! Read more about cruising at GuideForSeniors.com. For those looking to learn more about this topic, we’ve included products that may be useful below. Mantra Sleep Eye Mask: This eye mask is the only adjustable one we know of. It completely blocks out all exterior light making it much easier to fall asleep. It is indeed more expensive than other sleep masks but your sleep is worth it. Neck Brace/Pillow: It is touted as a neck brace but is vastly superior to a pillow while traveling. It keeps your head from rolling from side to side and is great for airplane travel. Compression Socks from Amazon: Try these compression socks the next time you are traveling by car, or by plane, or just walking. You will be amazed at how great your legs will feel! Cable Locks for Luggage: Today don’t leave home till your luggage is locked, It just adds a bit more peace of mind. Osprey Daylight Sling: You always need something on your travels. This sling bag is comfortable but holds the items you need the most on your daily travels.